Ketosis is a metabolic state, whereby your body is starved of carbohydrates and so begins to burn its own fat stores intead, producing ketones. Under most standard diet plans, the body controls the amount of fat that is burned and does not require ketones, however the reduced carbohydrate intake means that ketones become the preferred source of energy consumption. Although ketosis is a perfectly normal and healthy state for the body to be in, if ketones are allowed to over-accumulate, harmful health conditions can arise, including organ damage. This condition is common for people who have diabetes. If you are diabetic, ketosis can be a sign that you are not using enough insulin, the result of which is that your body produces ketones. A ketone test can alert you to the risk of developing diabetes but is also a useful tool for anyone following a ketogenic diet. If you are following a ketogenic diet, it is important to know your ketone levels. Here are some suggestions on how to test your ketone levels. Remove the strip while making sure not to touch the spongy tip of the strip. Collect urine in a container and dip the tip of the tester into the urine. The strip will begin to colour after a few moments. Use the colour chart to compare with your strip and ascertain your level. ...a level of between 0.5 and 3 mmol/L is usually considered to be ‘nutritional ketosis’. Blood readings are considered to be the most accurate method of measuring ketone levels in the body. Place the strip into the meter. Using the supplied lancing device, gently prick your finger. Pinch your finger until a drop of blood appears. Touch this onto the ketone strip. Wait for results to appear in the window. Discard the strip after use. Blood ketone levels are measured in units of mmol/L. For anyone who has insulin-dependent diabetes, elevated levels of blood ketones can indicate a blood glucose spike and medical advice should be taken straight away. However, if you are not diabetic and are using the ketone tester to aid in your ketogenic diet, a level of between 0.5 and 3 mmol/L is usually considered to be ‘nutritional ketosis’ and is what most people aim to stay within. It could take a number of weeks and some experimenting with your diet to achieve a consistent level. You can also use your breath acetone levels to test ketone levels. This method is known as BrAce. 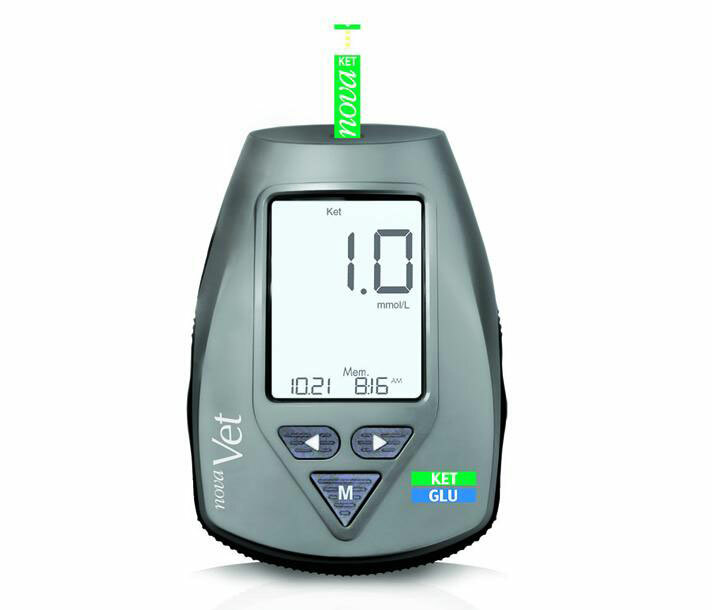 Blow into the device, and, depending on the device the BrAce tester will either give you a direct reading or display a colour based on the level of your ketones. Breath and blood tests are generally accepted as being more accurate than urine tests, with breath testing being the cheaper overall method, over time. If you feel tired and lethargic every day and have a constant appetite, this indicates that you are not in a state of ketosis. Consult a doctor if you feel unwell to prevent any potential harm being caused by ketones. This article looks into the potential benefits and risks of the ketogenic diet so that you can make an informed decision if it might be right for you. Each month, I send out a free eMag, with articles, tips, recipes and special offers. The purpose of this is to help me connect with people who want to take control of their own health care. It is a free service and contains no spam or advertising. You can subscribe any time.